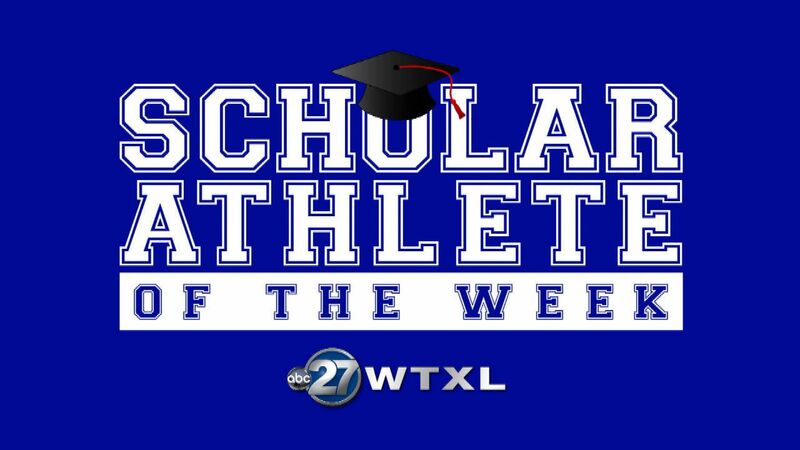 SportsNominate a Scholar Athlete of the Week today! TALLAHASSEE, Fl. (WTXL) - Being competitive has never an issue between St. John Paul the II's Natalie and Savannah Laywell. "Always want to beat her," said Savannah. "She always wants to beat me. I think I usually win." "I don't know why she said she usually beats me, because that's not true," laughed Natalie. "I win a lot of the time, okay?" Competition thrives for the identical twins. Natalie won on their birthday, she's a minute older, but from cross country, to soccer, to track, the two are constantly pushing each other to be the best. "She helps me to become better in the same way I help her to do the same," said Natalie. Helping each other do the same, and that carries over to the classroom. Both girls have indentical 4.46 GPA's, and both carry the title of co-valedictorian. "I think we both kind of just had a natural drive to do it," said Savannah of the twins drive academically. "My parents were never like, you have to do this or whatever!" "They have actually been always very self motivated when it came to academics," said track coach, and mom, Francee Laywell. "They really work hard. They always have. Even when they were little, they came in and did their homework." Beating each other is motivation enough for the Laywell twins. "We do know each other really well, but that's good," added Savannah. "We can help each other, but we do fight a lot too." "It would have been nice to edge her out, but I'm completely fine with it," laughed Natalie of sharing the valedictorian spot. "We have a good relationship. We fight a lot, and we are really competitive, but I think it's good."